All of our Colorations paint products are functional, practical and made to stand up to any classroom. 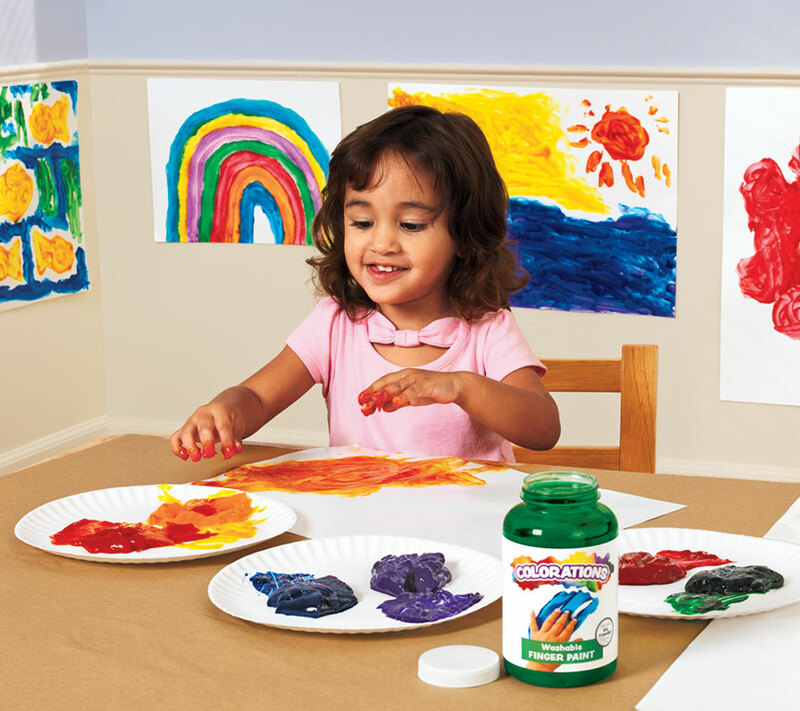 Colorations is proud to have a long-standing reputation as the number one trusted supplier of craft and activity paints for the early childcare industry. Many parents have enjoyed bringing our product line into their homes as well, trusting Colorations for the same simple reasons: high quality, superior performance, impressive selection and great value. 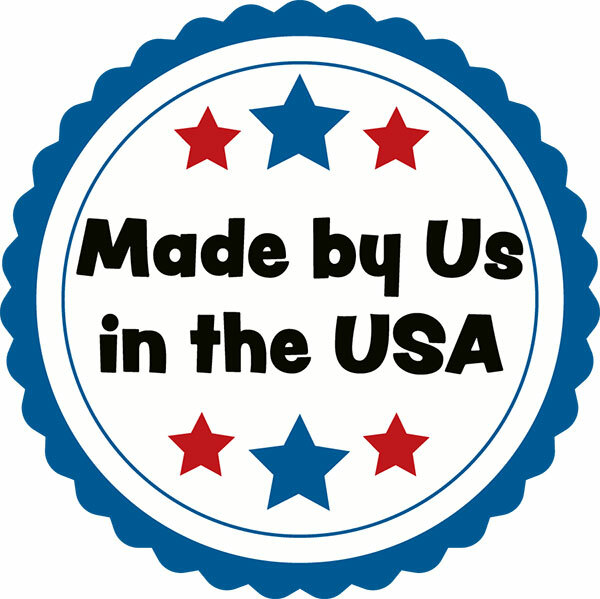 We proudly stand behind the quality and safety of the paint we manufacture here in the USA. 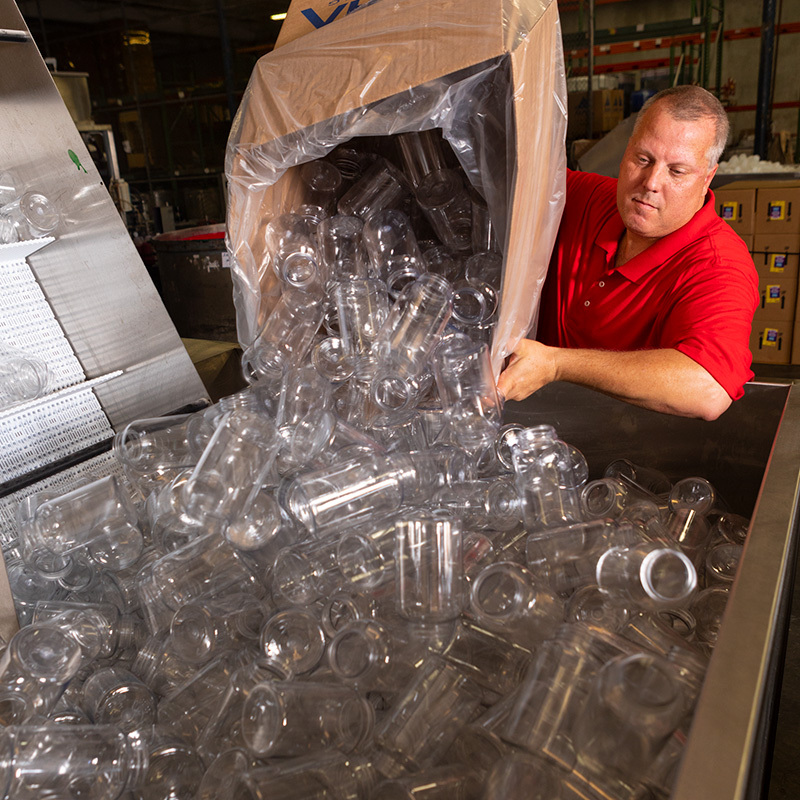 First, we blend the base materials to achieve the perfect, even consistency. 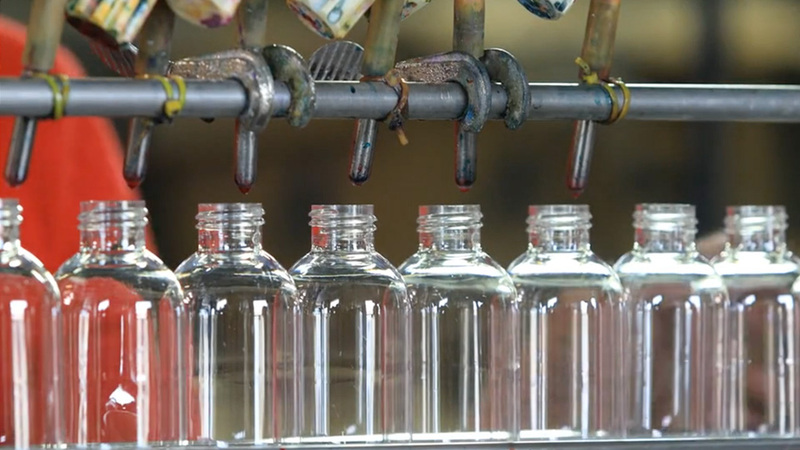 Then, we add our specially formulated washable pigments. Finally, we carefully bottle and label our paint products. 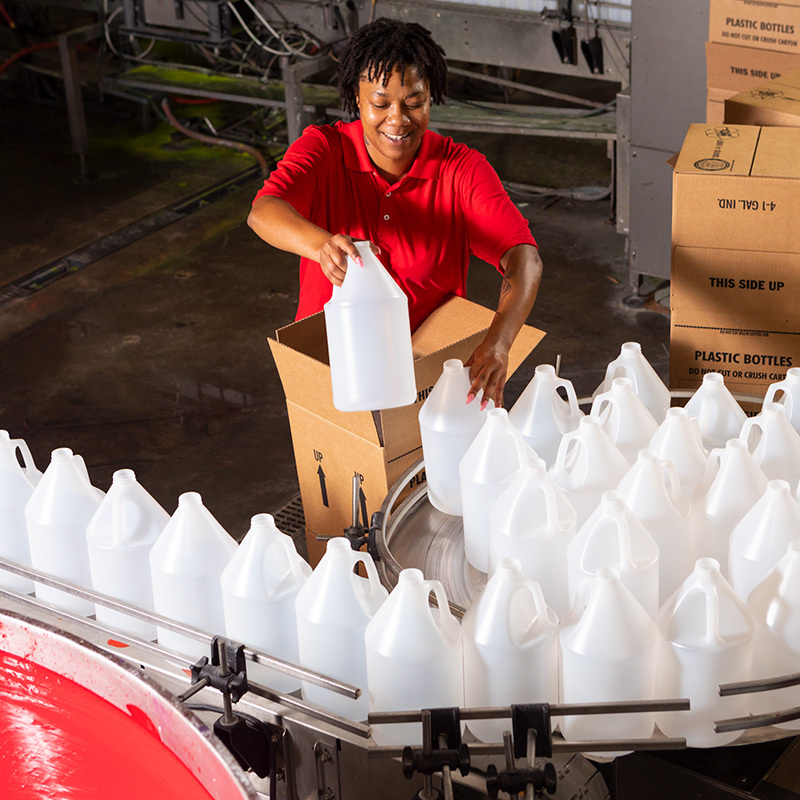 In fact, we make over 700,000 gallons of paint a year! That's a lot of colorful creative fun for the home and classroom! Rande is our master mixologist. 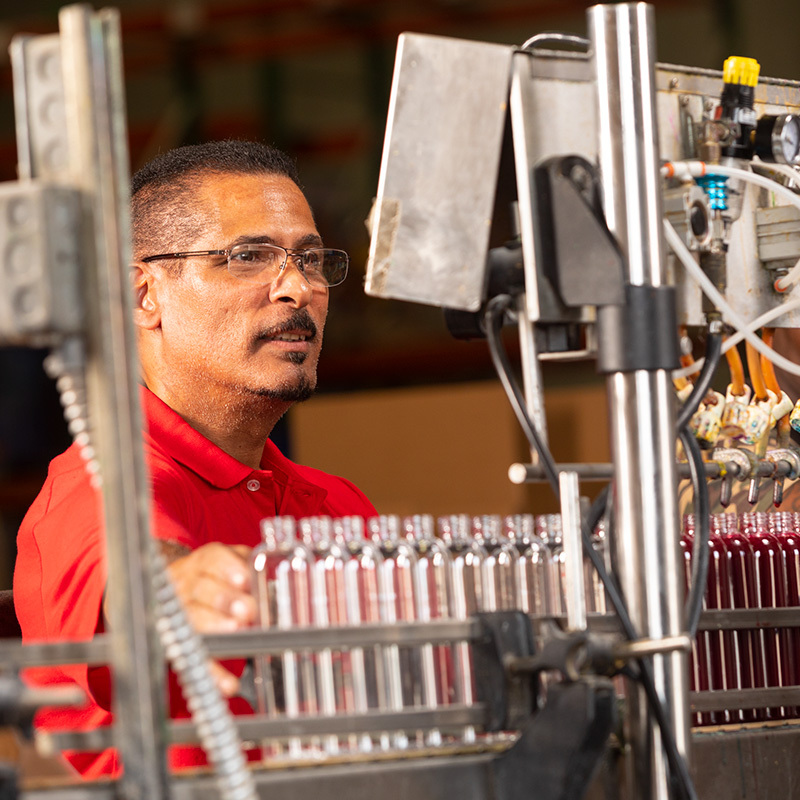 He has been developing, testing and improving upon our paints for more than 26 years. 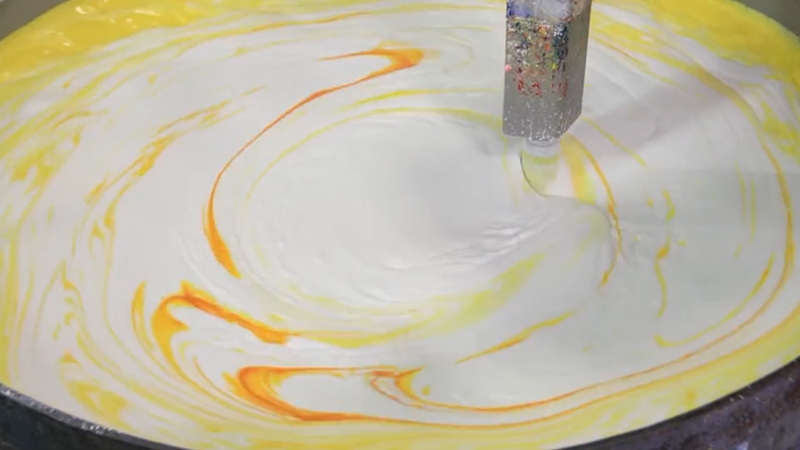 He creates our rich, vibrant recipes, produces paints that are totally unique and ensures that Colorations paints are top quality. 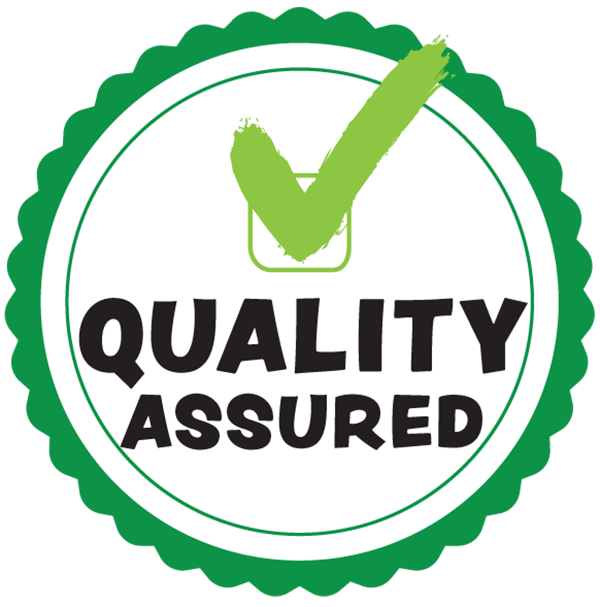 Through the use of internal quality control and independent lab testing we ensure that all of our paint products maintain the same high-quality standards, are kid-friendly and are non-toxic. 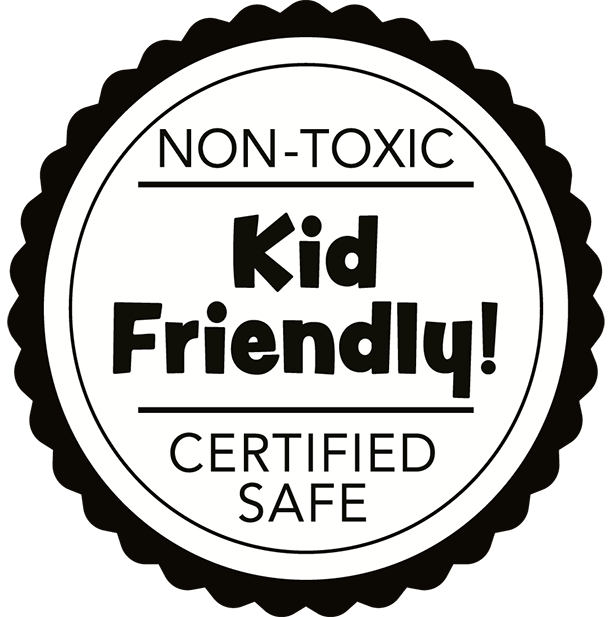 Look for the kid-friendly seal on products that are non-toxic, certified safe and easy to use. 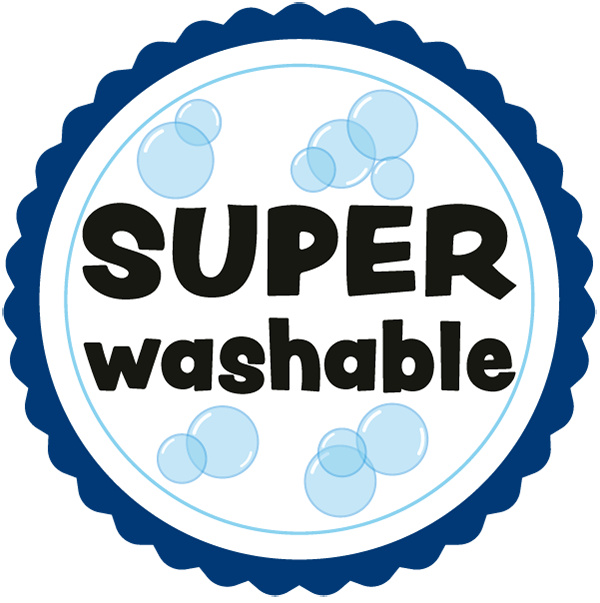 We know washability is a major decision-making factor when it comes to choosing a classroom or home activity paint. We want children to paint with all the passion and freedom that their imaginations can supply. 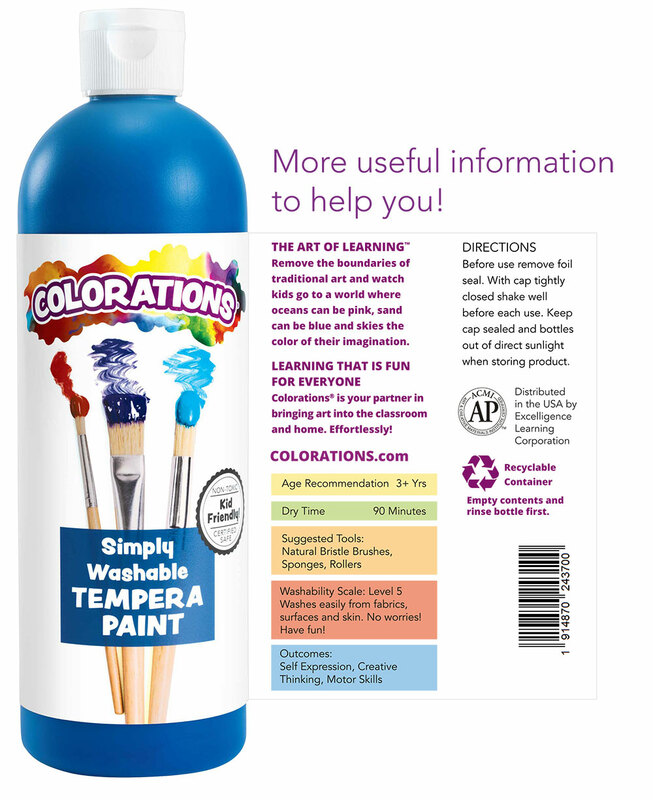 Teachers and parents can feel confident that our paint products will wash cleanly from surfaces and clothing. 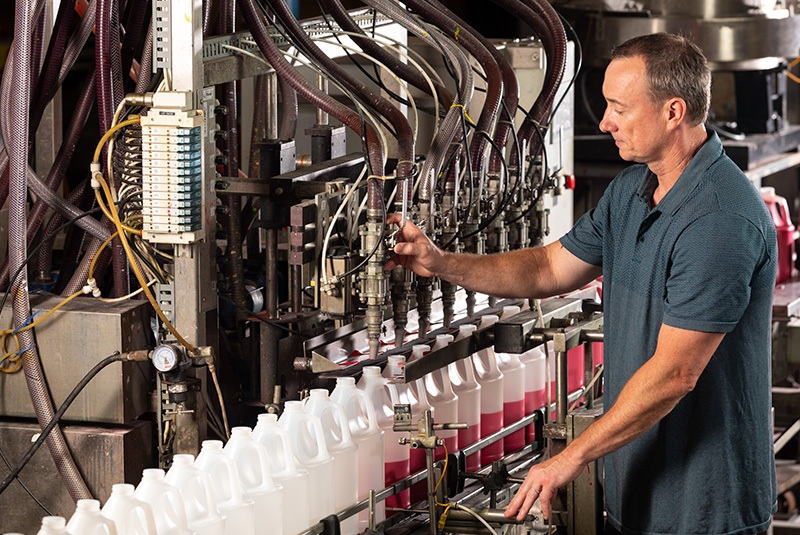 We test and retest our paint products to be sure they are as washable as possible and our washability scale on every bottle is there to help you choose the right paint.